Local broadcaster ATV’s executive director Ip Ka-po was fined HK$150,000 on Wednesday for failing to pay staff wages on time. 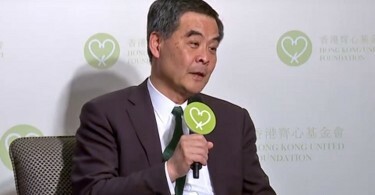 Ip’s supporters, fearing that he could be fined HK$1 million, were relieved by the verdict; however, some labour rights lawmakers fear that the comparatively small fine could set a dangerous precedent. Ip faced 102 counts of failing to pay wages on time, with the charges involving two dozen employees and HK$1.13m in unpaid salaries. ATV failed to pay wages to its employees from July 2014 to January this year. Ip was found guilty in the District Court last week on 100 summonses under the Employment Ordinance. 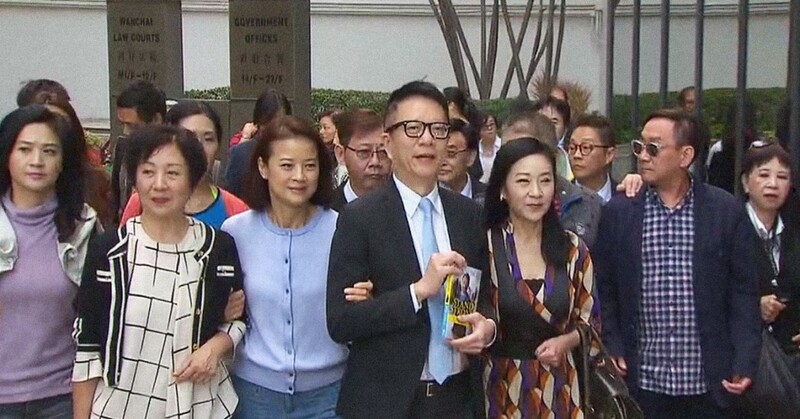 Ip’s family and friends burst into a round of applause upon hearing the sentence, and he shook hands with and hugged ATV artists who came to support him, Ming Pao reported. Ip Ka-po (centre). Photo: TVB screen capture. Ip said that he was happy and “learned a valuable lesson”, but was confused about being fined for not paying wages on time when he is an employee of ATV himself. Ip is paid HK$150,000 per month as an executive director. Magistrate Cheung Kit-yee said in court that since Ip is not a shareholder, his pay was also affected by the delay in remuneration. 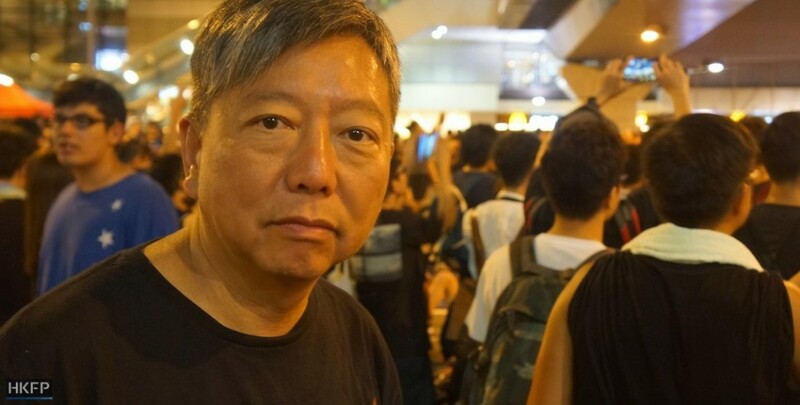 Cheung added that Ip did not leave the company when financial troubles struck, and that he worked hard to raise the funds needed to pay staff and keep the station running. Since the payment of wages was delayed for only a few months, Ip was required to pay just HK$1,500 or a maximum HK$350,000 for each summons. The Labour Department told Ming Pao that the sentence sent a clear message that employers must pay wages on time or face prosecution. 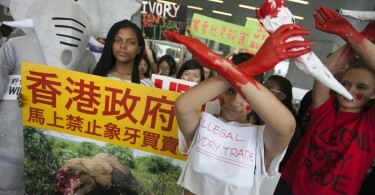 The Department of Justice said that it will study the judgment and decide whether it will follow up on the case. Lee added he whilst he sympathised with Ip, whom he said was only a scapegoat, he should have been given a suspended jail sentence instead. Lee also criticised the Labour Department for only pursuing the case after months of unpaid wages. He said he hoped the Department of Justice would file an appeal. Federation of Trade Unions lawmaker Chan Yuen-han said that since Ip was not the employer, he was only executing orders from ATV’s funders. “They still remain at large,” she said. Meanwhile, Ip said on a radio programme on Thursday that ATV has yet to pay staff wages for November. He said that if the wages were not paid by next monday, he would consider resigning from his position. “I cannot challenge the law again,” he said.